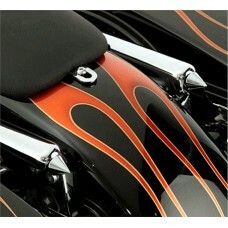 Hereʼs a Great Little Detail that Paul uses on all of his Bagger Conversions. 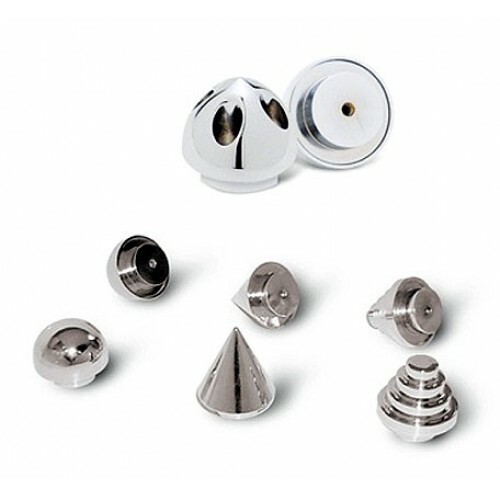 First we Cut off that Ugly Cross Bar over the Rear Fender that Comes Stock on all Baggers, then, we fill the Holes with our Trick Little Bar Tips that are Available in 4 Styles...Round Tips, Pointed Tips, Stair-Stepped Tips and our New Bullet Tips. Machined from 6061-T6 Aluminum and Beautifully Chrome Plated. To Install you will have to Cut off that Ugly Cross Bar over the Rear Fender that Comes Stock on all Baggers, then, you fill the Holes with our Trick Little Bar Tips, Silicon Glue will hold them in place. Only the BT Bar Tips Come in either Chrome or Black at this time!